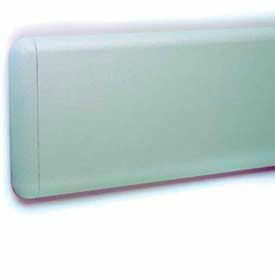 Pawling Tall Bed Bumpers Are Used For Wall Protection In Hospital Rooms Or Other Patient Room Settings. Pawling Tall Bed Bumpers are made of vinyl for long lasting durability. Uniquely designed wall bumpers corral beds into place while protecting patient room headwalls. Creates needed space for IV racks and patient monitors by keeping beds at least 2-3/8 inches away from wall. Available in 60 colors. Length is 48 in.. Height is 3-3/16 in.. Depth is 7-1/2 in.. Package quantity is 1. Pawling Rounded Accent Rails Are Used For Protecting Walls From Abuse In All Areas Of Any Facility. Pawling Rounded Accent Rails are made of vinyl for long lasting durability. 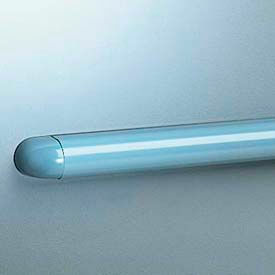 Simple rounded profile used for protecting walls, cashier islands or nurses stations from damage by carts and equipment. Also used as stylish accent for wall design. Available in 60 colors. Length is 12 in.. Height is 1-1/8 in.. Depth is 1-1/16 in.. Package quantity is 1. Pawling Accessories For EB-25 Allow Easy Installation Of Rounded Accent Rails. 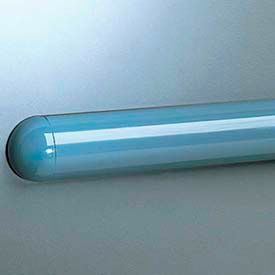 Pawling Accessories For EB-25 are made of vinyl for long lasting durability. Outside corners and end caps for Pawling Rounded Accent Rail EB-25 are available. Available in 60 colors. Types are End Caps and Outside Corners. Length is 1-1/16 in.. Height is 1-1/8 in.. Depth is 1-1/16 in.. Package quantity is 1. 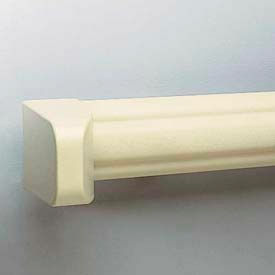 Pawling Accessories For EBR-30 Offer Required Installation Components For Rounded Accent Rails. Pawling Accessories For EBR-30 are made of vinyl for long lasting durability. Outside corners and end caps for Pawling Rounded Accent Rail EBR-30 are available. Available in 60 colors. Types are End Caps and Outside Corners. Length is 1-1/16 in.. Height is 1-1/8 in.. Depth is 1-1/16 in.. Package quantity is 1. Pawling Rounded Accent Rails are made of vinyl for long lasting durability. 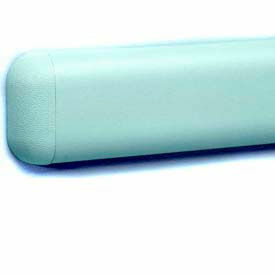 Classic, versatile shape used as chair rail, bumper rail or to provide color wall accent. Also available in textured finish (EBT-30). Available in 60 colors. Length is 12 ft.. Height is 2 in.. Depth is 1-1/8 in.. Package quantity is 1. Pawling Accessories For EBT-30 Offer Components Required For Wall Guard Accent Rail Installations. 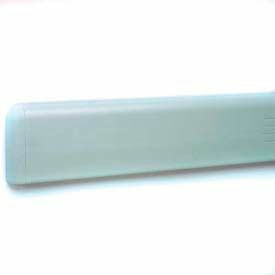 Pawling Accessories For EBT-30 are made of vinyl for long lasting durability. Outside corners and end caps for Pawling Rounded Accent Rail EBT-30 are available. Available in 60 colors. Types are End Caps and Outside Corners. Length is 1-1/8 in.. Height is 2 in.. Depth is 1-1/8 in.. Package quantity is 1. Pawling Accessories For WG-4 Allow Easy and Efficient Installation Of Wall Guards. Pawling Accessories For WG-4 are made of vinyl for long lasting durability. End caps (Left or right) and outside corners for Pawling Wall Guard WG-4 are available. Available in 60 colors. Return direction types are Left and Right. Length is 3/4 in.. Height is 4 in.. Depth is 3/4 in.. Package quantity is 1. 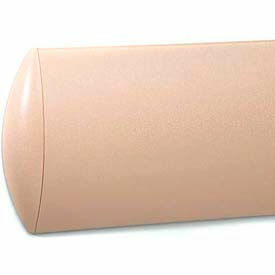 Pawling Accessories For WG-30 Offer Required Wall Guard Installation Components. Pawling Accessories For WG-30 are made of vinyl for long lasting durability. End caps, outside corners and spacers for Pawling Wall Guard WG-30 are available. Available in 60 colors. Types are End Caps, Outside Corners and Spacers. Length is 1-3/4 in.. Height is 4-1/8 in.. Depth is 1-7/8 in.. Package quantity is 1. Pawling Accessories For WG-3 Allow Easy and Efficient Installation Of Wall Guards. Pawling Accessories For WG-3 are made of vinyl for long lasting durability. End caps and outside corners for Pawling Wall Guard WG-3 are available. Available in 60 colors. Types are End Caps and Outside Corners. Length is 1 in.. Height is 2-5/16 in.. Depth is 1 in.. Package quantity is 1. Pawling Accessories For WG-5 Offer Components Required For Wall Guard Accent Rail Installations. Pawling Accessories For WG-5 are made of vinyl for long lasting durability. End caps, inside corners and outside corners for Pawling Wall Guard WG-5 are available. Available in 60 colors. Types are End Caps, Inside Corners and Outside Corners. Length is 1-3/8 in.. Height is 5 in.. Depth is 1-1/16 in.. Package quantity is 1. Pawling Accessories For WG-5C Allow Easy and Efficient Installation Of Wall Guards. Pawling Accessories For WG-5C are made of vinyl for long lasting durability. End caps, inside corners and outside corners for Pawling Wall Guard WG-5C are available. Available in 60 colors. Types are End Caps, Inside Corners and Outside Corners. Length is 1-1/16 in.. Height is 5 in.. Depth is 1-1/16 in.. Package quantity is 1. Pawling Accessories For WG-6 Are Used For Installing Wall Guards. Pawling Accessories For WG-6 are made of vinyl for long lasting durability. 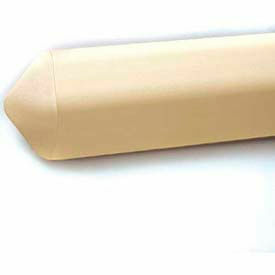 End caps and outside corners for Pawling Wall Guard WG-6 are available. Available in 60 colors. Types are End Caps and Outside Corners. Length is 1 in.. Height is 6 in.. Depth is 1 in.. Package quantity is 1. Pawling Accessories For WG-6C Offer Components Required For Wall Guard Installations. Pawling Accessories For WG-6C are made of vinyl for long lasting durability. 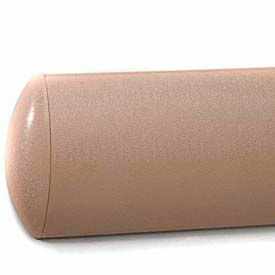 End caps and outside corners for Pawling Wall Guard WG-6C are available. Available in 60 colors. Types are End Caps and Outside Corners. Length is 1 in.. Height is 6 in.. Depth is 1 in.. Package quantity is 1. Pawling Accessories For WG-7 Are Used For Installing Wall Guards. Pawling Accessories For WG-7 are made of vinyl for long lasting durability. End caps, inside corners and outside corners for Pawling Wall Guard WG-7 are available. Available in 60 colors. Types are End Caps, Inside Corners and Outside Corners. Length is 1-3/4 in.. Height is 8 in.. Depth is 1-3/8 in.. Package quantity is 1. Pawling Accessories Are Specially Made For WG-7C Crescent Shaped Wall Guards. Pawling Accessories For WG-7C Crescent Shaped Wall Guards are made of sturdy vinyl for long lasting durability and dependability. End Caps, Inside Corners and Outside Corners are available in 8 inch heights and 1-3/4 inch lengths and depths. Easy, snap-on installation. Available in wide selection of 60 standard colors. Extra Red-E-Clips® are also available. Pawling Accessories Are Specially Made For WG-8 Wall Guards. Pawling Accessories For WG-8 Wall Guards are made of sturdy vinyl for long lasting durability and dependability. End Caps and Outside Corners are available in 7-3/4 inch heights and 1 inch lengths and depths. Easy, snap-on installation. Available in wide selection of 60 standard colors. Pawling Accessories Are Specially Made For WG-8C Wall Guards. Pawling Accessories For WG-8C Wall Guards are made of sturdy vinyl for long lasting durability and dependability. End Caps and Outside Corners are available in 7-3/4 inch heights and 1 inch lengths and depths. Easy, snap-on installation. Available in wide selection of 60 standard colors. Extra Red-E-Clips® are also available. Pawling WG-30 Triangular Wall Guards Are Used For Use In Hospitals, Schools, Office Buildings, Warehouses Or Other High Traffic Interior Settings. Pawling WG-30 Triangular Wall Guards are solidly made for long lasting dependability. 4-1/8 inch wide, 12 foot length wall guards are made of sturdy Aluminum mounting retainers with durable vinyl covers and soft rubber cushioning material. Triangular design adds visual depth and extended protection as a stand-alone crash rail or as a low bumper rail beneath handrail. Match perfectly with the style and form of Pawling BR-800 series handrails, providing continuity of design when used together. Comes standard with rubber spacers to extend it off the wall. Wall guards are 1-7/8 inch in depth. Available in wide selection of 60 standard colors. Pawling WG-3 Wall Guards With Rounded Edges Are Used For Use In Hospitals, Schools, Office Buildings, Warehouses Or Other High Traffic Interior Settings. Pawling WG-3 Wall Guards With Rounded Edges are solidly made for long lasting dependability. 2-5/16 inch wide, 12 foot length wall guards are made of sturdy Aluminum mounting retainers with durable vinyl covers and soft rubber cushioning material. Can function equally well as crash rails or chair rails. Multiple rows can provide maximum impact protection and decorative appeal. Spacers also available for installation that is extended from the wall. Wall guards are 1 inch in depth. Available in wide selection of 60 standard colors. Pawling Rounded Edge Wall Guards Are Used For Use In Hospitals, Schools, Office Buildings, Warehouses Or Other High Traffic Interior Settings. Pawling Rounded Edge Wall Guards are made of aluminum mounting retainers with vinyl covers and soft rubber cushioning material for strength and long lasting durability. For use as crash rails or chair rails. Coordinates with style and form of Pawling BR-400 series handrails, providing continuity of design when used together. Spacers also available for installation extended from wall. Available in 60 colors. Size is 12 ft. L x 4 in. H x 3/4 in. D.. Package quantity is 1. Pawling WG-5 Crescent Shaped Wall Guards Are Used For Use In Hospitals, Schools, Office Buildings, Warehouses Or Other High Traffic Interior Settings. Pawling WG-5 Crescent Shaped Wall Guards are solidly made for long lasting dependability. 5 inch wide, 12 foot length wall guards are made of sturdy Aluminum mounting retainers with durable vinyl covers and soft rubber cushioning material. Crescent shape offers a fresh alternative to traditional rectangular designs. Match perfectly with the style and form of Pawling BR-600 series handrails, providing continuity of design when used together. WG-5C models are also available to save on both material and freight costs. Retainer is replaced by 10 Red-E-Clips® manufactured from light-weight, recycled material that provides impact protection equal or superior to continuous aluminum retainer. Spacers also available for installation that is extended from the wall. Wall guards are 1-1/16 inch in depth. Available in wide selection of 60 standard colors. Pawling WG-6 Wall Guards With Rounded Edges Are Used For Use In Hospitals, Schools, Office Buildings, Warehouses Or Other High Traffic Interior Settings. 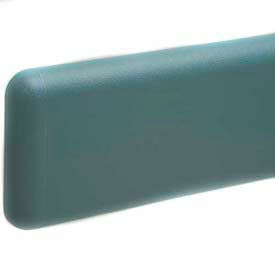 Pawling WG-6 Wall Guards With Rounded Edges are solidly made for long lasting dependability. 6 inch wide, 12 foot length wall guards are made of sturdy Aluminum mounting retainers with durable vinyl covers and soft rubber cushioning material. Match perfectly with the style and form of Pawling BR-500 series handrails, providing continuity of design when used together. WG-6C models are also available to save on both material and freight costs. Retainer is replaced by 10 Red-E-Clips® manufactured from light-weight, recycled material that provides impact protection equal or superior to continuous aluminum retainer. Spacers also available for installation that is extended from the wall. Wall guards are 1 inch in depth. Available in wide selection of 60 standard colors. Pawling WG-8 Wall Guards With Rounded Edges Are Used For Use In Hospitals, Schools, Office Buildings, Warehouses Or Other High Traffic Interior Settings. Pawling WG-8 Wall Guards With Rounded Edges are solidly made for long lasting dependability. 8 inch wide, 12 foot length wall guards are made of Aluminum mounting retainers with durable vinyl covers and soft rubber cushioning material for durability in building applications. Matches with Pawling BR-400 series handrails, providing continuity of design. WG-8C models are also available to save on both material and freight costs. Retainer is replaced by 10 Red-E-Clips® manufactured from light-weight, recycled material that provides impact protection equal or superior to continuous aluminum retainer. Wall guards are 1 inch in depth. Available in wide selection of 60 standard colors. Pawling WG-7 Crescent Shaped Wall Guards Are Used For Use In Hospitals, Schools, Office Buildings, Warehouses Or Other High Traffic Interior Settings. Pawling WG-7 Crescent Shaped Wall Guards are solidly made for long lasting dependability. 7 inch wide, 12 foot length wall guards are made of sturdy Aluminum mounting retainers with durable vinyl covers and soft rubber cushioning material. Crescent shape offers a fresh alternative to traditional rectangular designs. Match perfectly with the style and form of Pawling BR-600 series handrails, providing continuity of design when used together. WG-7C models are also available to save on both material and freight costs. Retainer is replaced by 10 Red-E-Clips® manufactured from light-weight, recycled material that provides impact protection equal or superior to continuous aluminum retainer. Spacers also available for installation that is extended from the wall. Wall guards are 1-3/8 inch in depth. Available in wide selection of 60 standard colors. Pawling Chair Rails Are Used For Use In Hospitals, Schools, Office Buildings, Warehouses Or Other High Traffic Interior Settings. Pawling Chair Rails are solidly made of clear molded polycarbonate for long lasting durability and dependability. Offers offer complete protection in high traffic or impact susceptible areas. 96 inch length, 5/16 inch depth rails available in 3 and 4 inch heights. 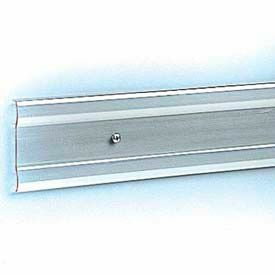 Pawling® WG-4P-12-1 PETG Crash-Rail-Type Wall Guard, 12' x 3/4" x 4"